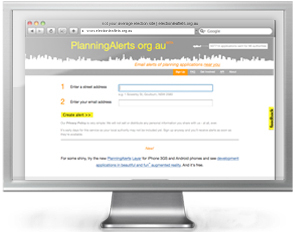 PlanningAlerts is a free service which searches planning authority websites for development applications in your area and then emails you their details. 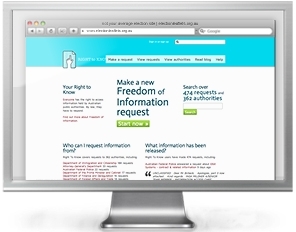 Right To Know makes Freedom of Information requests really easy and automatically publishes the whole paper trail between the person making the request and the government agency. 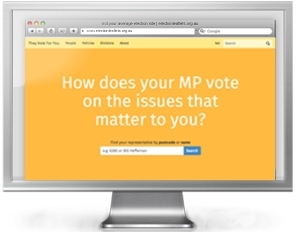 They Vote For You shows you how your MP votes for you in parliament on issues that matter to you. 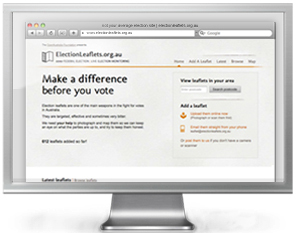 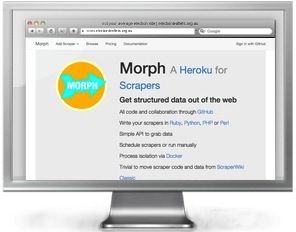 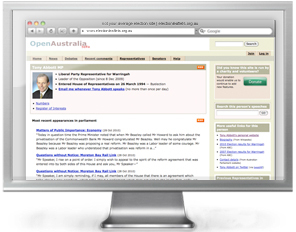 Election Leaflets is a new kind of election monitoring, focusing on election leaflets, one of the main weapons in the fight for votes in Australia.